The Thoughts Dancing Pencils Writing Club in Gauteng has four Mentors to assist it. They are Azwitamisi Mavhungu Molatelo Molemi. Moses Mutshatshi and the main mentor, Tshilitzi Mavhungu. 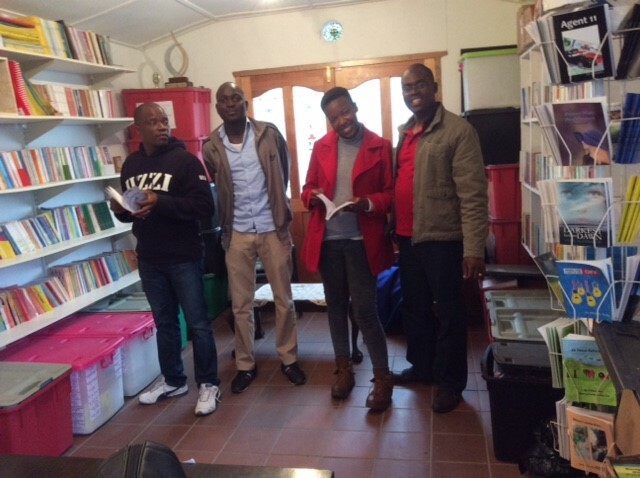 These four writers came to Durban to train as Mentors earlier this year. Tshilitzi however has a track record, that goes back to 2004 and 2005, when he was as a member of the Univen Dancing Pencils writing Club in Thohoyandou, Venda. He has also had the privilege of being interviewed on SABC2 on a programme, Mantswe a Bonono ,with Felicity and another writer for his writing achievements. The four new Mentors have, between themselves, written an anthology called “The Courage Within you .” This was launched at the annual Dancing Pencils Book Launch in Durban. This took place on September 9th at the BAT Centre on the Bayside in Durban.